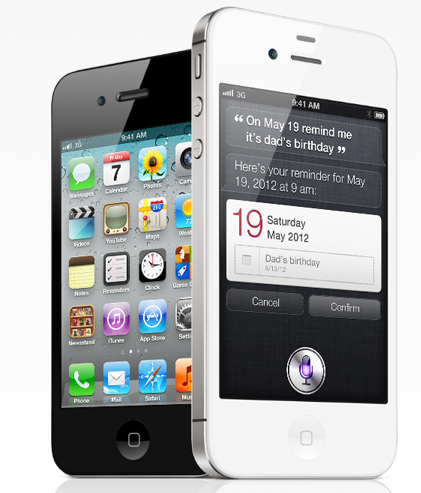 New Apple iPhone 4s | helps Louisville Realtor work more efficiently! New Apple iPhone 4s helps Louisville Realtor work more efficiently! I’ve been underground the past few days trying to absorb the Apple changes from OS to iPods to Phones. I’m afraid I’m still learning, but one thing is for sure, any fears that the new Apple iPhone 4s would be a disappointment are gone. Apple hit a grand slam home run with this new phone. Yes there were problems upgrading to the new software for many of us. But that was because of a major overload on apple servers. I pre-ordered my phone last week and sure enough watched it ship from China on Monday with UPS and make is way across the world during the week. Friday at about 10:15 am in walks our UPS guy with the phone. What a time saver over standing in line waiting to buy a phone. As a Louisville Realtor “Siri” gives me the ability to dictate e-mails, Text messages, and a reminder! If I need to remind myself to call a client I simply tell “Siri” to remind me to do it. She instantly adds the entry into the new reminder App! Add to that a new 8-megapixel-rear camera, 1080p video and faster processor and you have a big win for Apple. iCloud takes a little setting up and I’m still working on getting it installed on all my computers (both mac and pc). But it will become a must have option for most of us within a year or two. The new IOS 5, which will also work with iPhone 4’s, includes several neat additions including info at a glance. Want an update on weather, stocks, messages, appointments and more swipe down the length of the iPhone 4s and it all appears on one scrollable screen. I’d like to spend more time telling you about the features but I’m still playing with the phone. I’ll update this soon. I picked up my iPhone 4S on Friday and I'm loving it. First impressions: the new A5 chip makes the phone very snappy, photos are stunning and Siri is much more than a gimmick. For the most part iOS5 is an impressive upgrade. Although, iCloud still seems rather buggy. When, I setup photo stream on my iPad it works flawlessly. However, when I setup photo stream in iPhoto it keeps crashing. It also crashes whenever I try to import photos from my iPhone to iPhoto. I'm sure Apple will fix all the bugs in the next few weeks. Great to hear from you. Apple really did it again. Look into the new bluetooth headsets that will allow you to dictate e-mail and tests while bike riding!